Chicho have a strong, playful brand identity and a clear set of values. Together with the client, we envisaged a thoughtfully crafted gelataria where everyone from cheeky kids to late night sweet tooths could have a fun and interactive experience. 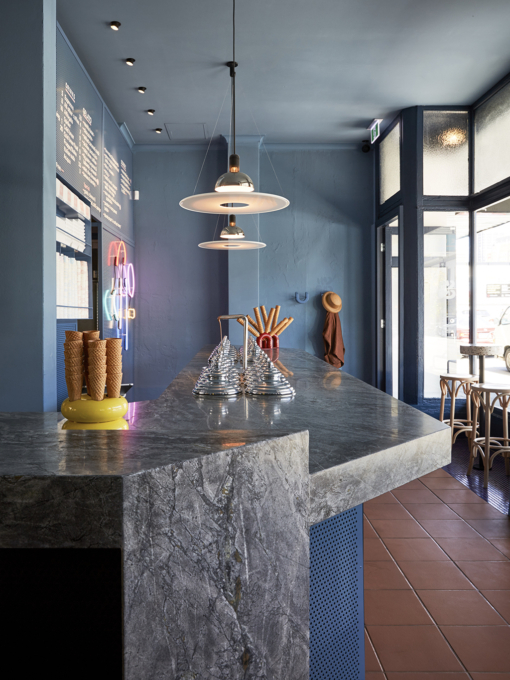 Located in the cultural district of Perth, Chicho Gelato exudes a light, airy, salubrious feeling during the day and transforms into a softly lit, moody venue in the evenings. Designed in an L shape around the commercial kitchen (all the gelato is churned fresh on-site), the venue is half espresso bar, half gelataria. Trust us, it’s worth joining the queue out the door.